Price for ADULTS: $60.00 | STUDENTS: $48.00. Tour includes: 11 cables | Sky Tram. 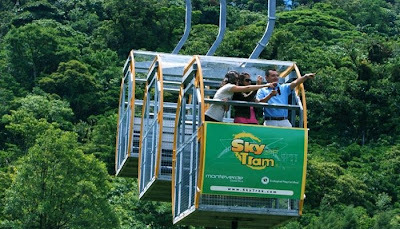 SKY TREK is a system of zip lines ranging from mountain to mountain, which together have a distance of 2.5 miles of linear cable. 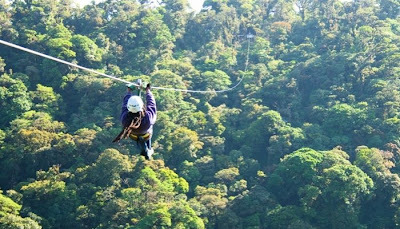 The tour gives you the opportunity to fly through a cable and have an unique experience of adventure and adrenaline at speeds up 40 miles per hour with distances ranging up to 2500 feet and heights of 524 feet. 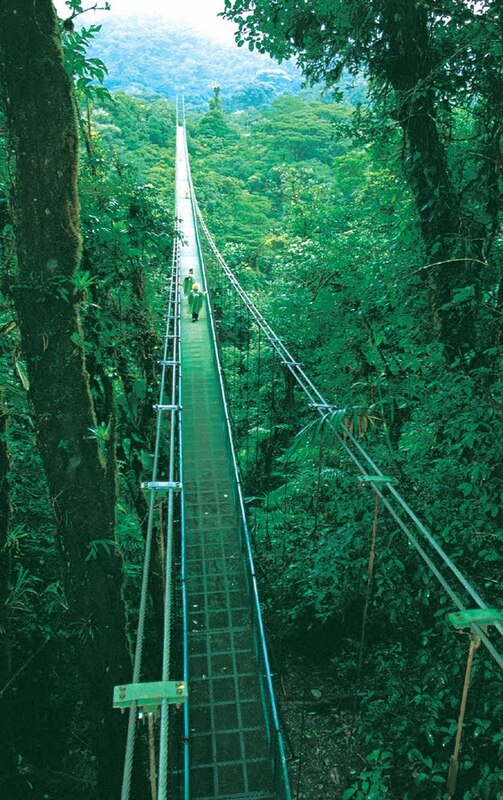 In addition the tour offers 5 observation towers that exceed the cloud forest treetops providing a panoramic view. All with total security and in an innovative braking system. The tour starts with the Sky Tram that will lead you up to the Continental Divide. Tour start: 7:30 a.m., 9:30 a.m., 11:30 a.m., 1:30 p.m. Price - ADULTS: $60, STUDENTS: $48, CHILDREN: $38.